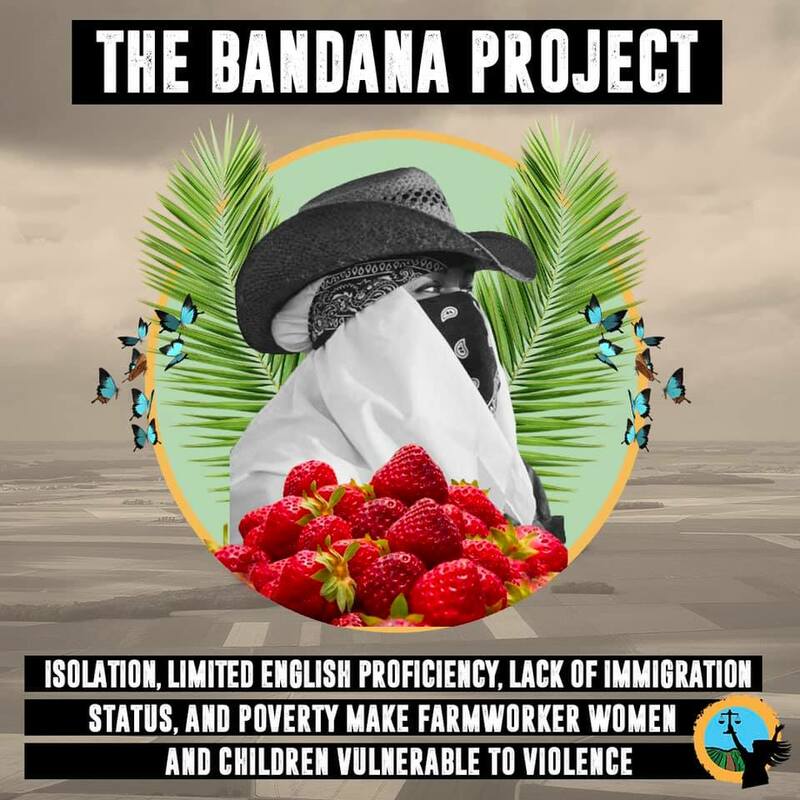 The Bandana Project is an international art-activism project and advocacy campaign to raise awareness about the widespread workplace sexual violence that farmworker women suffer. The project provides a visible demonstration of support for farmworker women and a commitment to ending this problem. It also honors those who have acted to hold the perpetrators and their employers responsible for this violence. Allies decorate white bandanas to help support & empower farmworker women as they face this difficult problem in the hopes that they will no longer have to suffer in silence. Please join us as we help send the message that we support farmworker women by decorating white bandanas with words of encouragement, motivating statements, inspirational pictures & art. We will then hang these bandanas in our District Office as visible demonstration of our support for farmworker women and our commitment to ending this problem.